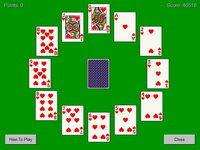 Description: Solitaire has been part of Windows for more than 25 years. The World's #1 Patience game, the Microsoft Solitaire Collection makes it the best experience to date with five different patience card games in one. The game features: Klondike, Spider, FreeCell, TriPeaks, Pyramid patience games, as well as Daily Challenges and Star Club.